Tim steps into the storm of steel of WWI to check out Battlefield 1, the series' celebrated shift away from modern era. Battlefield is a name synonymous with large-scale infantry and vehicular warfare. Having now thrashed the modern combat theme for years, EA DICE has decided to make a change for the 15th entry in the series. 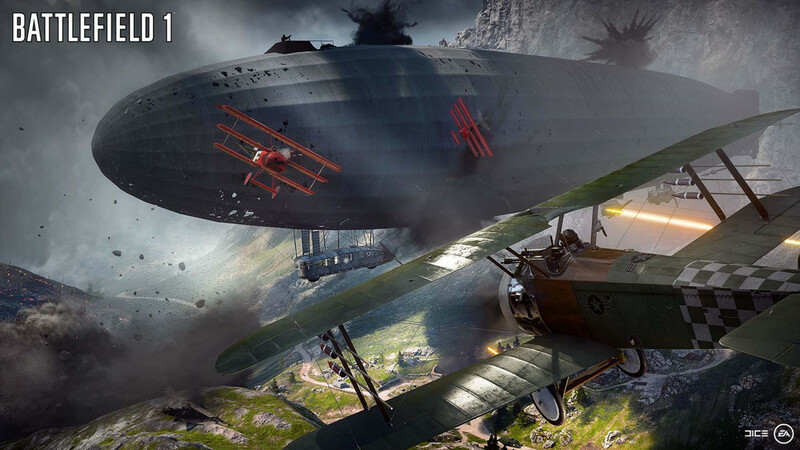 Titled Battlefield 1, this latest addition ventures into new territory with The Great War providing the backdrop to which the game’s campaign and multiplayer are set. There are five separate stories for the single player, all of which are just a few missions long with the total campaign length clocking in at a meagre five hours or so. The sound and art design are fantastic, as is to be expected with such a high profile title. The graphics deserve a special mention, as I was continually ogling the amazing lighting effects that the Frostbite Engine delivers. Well, right up until some Jerry lobbed a potato masher into my foxhole, that is. The development team really tried hard to cram everything they possibly could into the campaign, and the result is a mixture of action sequences and stealth sections set throughout the various theatres of WW1. Unfortunately it’s much like every other recent Battlefield single player experience: more style than substance. Players who were hoping for something more than a Michael Bay take on The Great War will be left disappointed. The tales being told are simple yet effective, and a couple of the characters are even half way interesting. But due to the short story format used, you never stay with any of the soldiers long enough to care about them, and most of the impact of the cutscenes is lost as the game ploughs ahead at a breakneck pace. There really needed to be a tighter focus on two or three of the theatres, with more missions for each. Another sore point is the glaringly obvious multiplayer mechanics thrown into the single player. When trying wrest a hilltop away from the enemy, you end up watching a glowing bar fill before the typical conquest point captured message displays in a garish fanfare across the screen. Similar design choices have seeped into all aspects of the story mode, and the immersion built by other game elements is dispelled like smoke in the wind. It feels like nothing more than a multiplayer tutorial in places. But what really sinks the campaign is the enemy AI, with the second Gallipoli mission being the worst culprit. 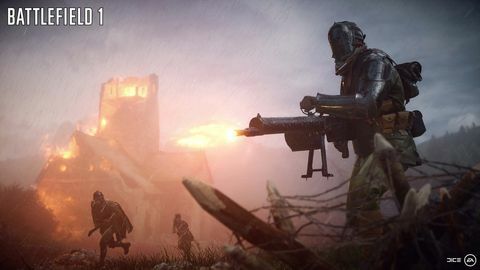 Despite having a full scale battle raging, shooting even one of the enemies will have every machine gun and mortar rain hell down on you from across the map, whilst completely ignoring the rest of the Anzac army. The rest of the game is not much better, and I was well and truly sick of the stealth sections by the time I had finished. Having grown tired of playing by myself, I jumped head first into the multiplayer modes. First and foremost the game has a server browser which was so noticeably absent from DICE's most recent game, Star Wars Battlefront. No more guessing if there’s anyone online in a playlist anymore! And at no point did I struggle to find a match – to say that this game is popular would be an understatement the size of a zeppelin. 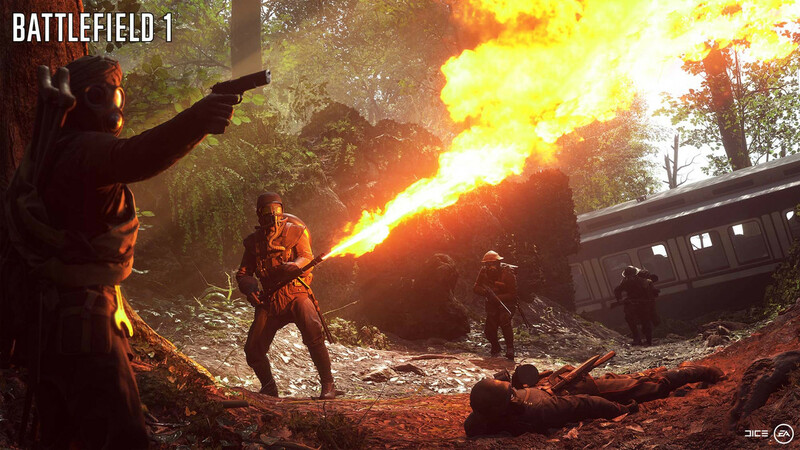 What becomes very apparent after only a few rounds is how much everything has been stripped back in comparison to the last few Battlefield titles. There are far fewer weapons, and there are no longer a gazillion different attachments to put on them, either. The classes are also much more focused with very little overlap, forcing players to pick a particular playstyle and work to its strengths. Whether this return to a lean, no frills approach for multiplayer is enjoyable will be completely dependant on the individual. Many old school franchise vets may enjoy the hearkening back to the games from the last decade, but newer players may be put off by the lack of options and the inability to play class types that are no longer catered for. On more than one occasion I caught myself wishing for all the silenced weapons from modern combat games, but alas they would not fit the time period. In fact my biggest criticism of the multiplayer would have to be its setting. The mechanics and gameplay are rock solid as always, and will be familiar to anybody who has played a Battlefield title before. But the WW1 vehicles and weapons are slow, crude and very much a product of their time. This is the first DICE game where I played more TDM than Conquest, as I much prefer a modern M1 Abrams tank to an upside-down bathtub with more turrets than horsepower. Nothing about this time period in a multiplayer shooter appealed to me, and the vehicles in particular I found to be frustrating. But putting my own personal preferences aside, the multiplayer package being served up is the cream of the crop. And perhaps more importantly, it’s actually working exactly as intended, as I had very few hiccups at all in the week I had to play the game. There’s never any difficulty getting a match with a plethora of Oceania servers, and I didn’t have a single crash or disconnect. Compared to the nightmare that was Battlefield 4’s launch, this has been an uneventful start in the best way possible. Scoring this game was difficult, as the single player campaign was mediocre with no reason to do more than a single playthrough, if that. In contrast, the razor sharp multiplayer easily matches the franchise’s gold standards for team-based carnage on a grand scale. In the end, most people will likely be opening up their wallet for the latter, and so while it’s disappointing that it’s not a complete package, the pros do handily outweigh the cons. 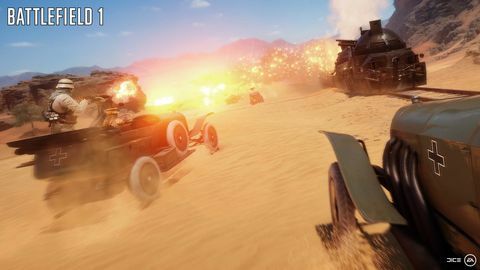 Battlefield 1's campaign is thin as ever, but most will be on board for the multiplayer, which – while simplified compared with recent entries – remains practically peerless when it comes to delivering intense, large-scale battles. Ups Terrific visuals and gameplay. Downs Gaunt campaign. Some may find streamlined multiplayer too simplified.